My younger sisters were both treated at Primary Children’s Hospital when they were little girls. Ally was treated there for a staph infection and Rachel’s life was saved by having a bead extracted that she had swallowed. 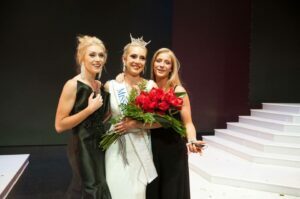 My sisters, Ally and Rachel, and I right after I was crowned Miss Utah. I was really little when this took place, but I remember how scary it was watching Ally limp and seeing Rachel fight to breathe. It was terrifying. We spent so many nights praying for both of them and hoping for the best. Had it not been for Primary Children’s, l don’t want to think about what life would be like today. Ally can walk and Rachel is alive because of the treatment they received at a Children’s Miracle Network Hospital and our family is eternally grateful. A few times a month, I have the opportunity to visit Primary Children’s Hospital to co-host their “Bingo Wednesdays” where we play Bingo, Blackout Bingo, and “Name-that-Tune” with my violin. We broadcast Bingo throughout the hospital to any child’s room who wants to participate. Kids can come to participate in the room where we host it but — around this time of year — kids are sick and aren’t always able to come. This past time though, a sweet little girl, Presley, came and was so excited to see me standing there with my sash and crown. She was so spunky and lively even though I could tell she’d just undergone massive surgery. She informed me that her favorite animal was a mermaid and one of her favorite movies was, of course, “The Little Mermaid.” While we played Bingo, she asked to sit by me and then requested if I could play “Fight Song” on my violin. That song is truly her anthem, and I loved seeing her eyes light up as I played it. It was inspiring to see the optimism and life that little girl had even though she was experiencing so much darkness; you would never have known that she had experienced something traumatic based on her attitude. It reminded me of why I am so passionate about promoting the CMNH: these kids are just kids! They’re normal, they want to have fun, and they need to be loved. I was able to serve as a volunteer for the Kids’ Clubhouse at Primary Children’s Hospital for ten months and absolutely loved it. Curtis – Curtis would always walk in and introduce himself by saying with a cute little kid voice, “Hello, my name’s Curtis and I’m four!” He loved making goo and building cup towers and was the cutest little kid! Sam – Another favorite memory was when Sam came in. He told me in a matter-of-fact way about his different treatments and all the appointments he had to go to. I felt so bad that he had to experience that, but I was touched by his optimism and that he trusted me enough to tell me his story. Craft Cart – Taking the “Craft Cart” around the hospital was such a blast. Patients and families would be waiting for appointments, and we would offer them books, toys, wooden cars, and crayons. Seeing the looks on the kids’ faces when they realized they got to keep the toys was one I can’t really describe. The families were so grateful and the kids forgot where they were. What I loved was being able to distract these kids from the scary reality of being in a hospital. We got to be their friends and make them feel like regular kids just having fun! 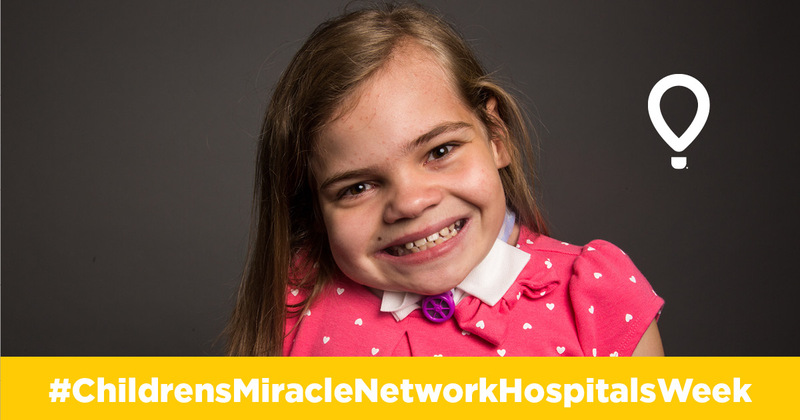 This is what fundraising for CMN Hospitals is all about — making miracles happen for children. These children are just kids who still love life but have sadly been living in difficult circumstances. Any way we can help and make a difference…we should do it. I’m grateful for my role as Utah’s CMNH Ambassador, and I will forever promote this amazing network that has impacted so many lives.